Virtual Assistance is one of the biggest technologies we have seen in the recent time. Companies like Google, Microsoft and Apple has its own virtual assistance apps named Google Now, Crotona and Siri respectively. So if you are an iPhone user you must be aware about “Siri,” which according to us is one of the best when we compare it with other competition and it’s getting better with every update Apple push for it. Today in this article we are going to talk about the five hidden features of Siri which will help you to use Siri in effective way. Apple recently enlisted Cookie Monster to show off the Hey Siri feature on the iPhone 6s, as he longs for a timer to finish so he can eat cookies. If you own iPhone 6s or iPhone 6s Plus you can say, “Hey Siri” anytime to access all the features listed below. You don’t need to be connected to power for this to work, and it is an awesome way to build Siri into your daily life. We use it to check the weather, set timers, turn off all alarms and much more. Turn this on by going to Settings -> Siri -> Hey Siri -> On. Then follow the setup procedures. Unlike older versions of iOS where you had to change the language or location to get a new Siri Voice you can now do this in iOS 9 and up by simply changing the Siri Voice. Go to Settings -> Siri -> Siri Voice and choose from an American, Australian or British accent. You can also choose a male or female voice. There is still no option to buy third-party voices for Siri like you can with some navigation apps. For now you cannot control other apps like Spotify with Siri, but you can open the app which makes using it that much easier. This is handy to use while at a stoplight or when walking to your car. Use Siri to open the app and get it ready so you can tap on a playlist and get going. You will need to unlock the iPhone to open the app. If you want Siri to read back your messages before sending them and talk back to you when you ask the service to do something go to Settings -> General -> Siri -> Voice Feedback -> On. Now Siri will talk whenever you ask for something. You can also choose to only hear this when using a handsfree device. A recent upgrade allows you to set this to work with the mute switch on the side of the iPhone so that you will only hear voice feedback when your phone is not on silent. This is overruled when using Hey Siri or when connected to a handsfree device. 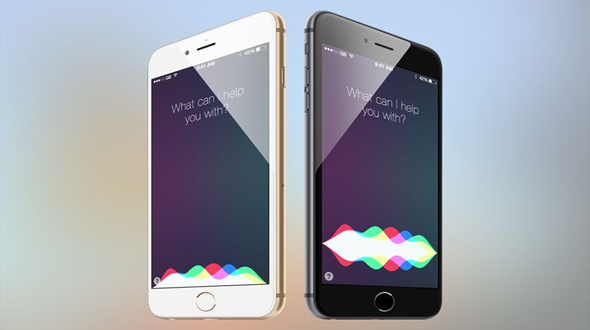 These are some of the cool tips which will help you get maximum out of Siri. If you know some other cool tips with Siri, do share it with us and our readers in comment section below.